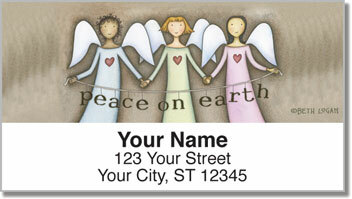 Celebrate the power of love and the inherent goodness of existences with the bright, colorful designs on our Sweet Blessings Address Labels. Each designed was created by artist Beth Logan, an upbeat creative who refused to grow into a boring grown-up and has since dedicated her life to making cool stuff and coding positive messages into all of her work, no matter what she's making. 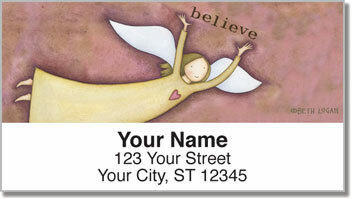 Now you can believe in love and show others your passion with these address labels. 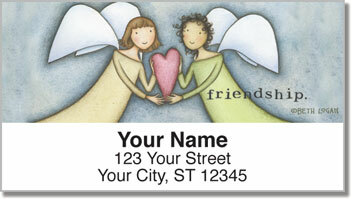 Simply peel and place these on your envelope or package and you're sure to bring happiness into someone else's day. 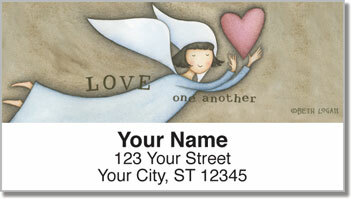 Count your blessings and believe in love. Order now and get shipping absolutely free!